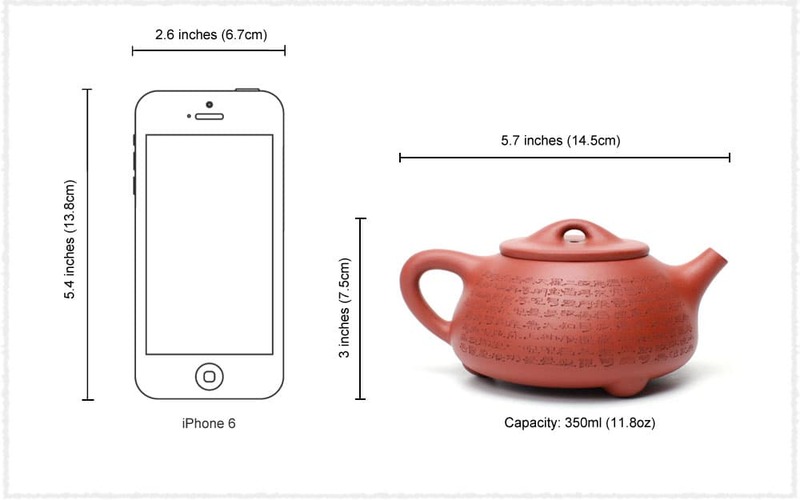 Compared the round, soft and girly lines of Xishi Ying Teapot, Shi Piao Teapot has straight, hard and manly lines. 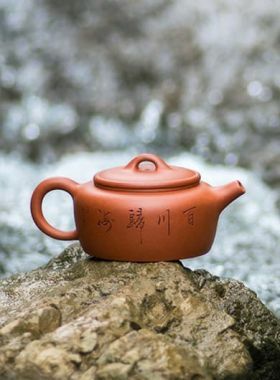 This fully handmade Shi Piao Yixing teapot(石瓢壶), a dignified and elegant teapot with simple and sturdy lines, and a triangle-like body. 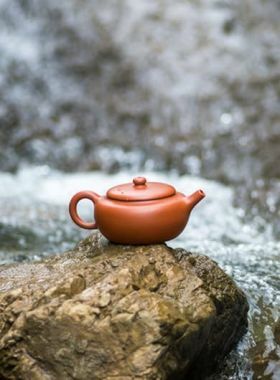 At the bottom, the three feet, just like three go chess pieces in an equilateral triangle form, make the teapot stable, simple and practical. Heart Sutra (心经) is one of the classic Mahayana Buddhism sutras, which used the least words to express the essence of Buddhism, and is also an integral part of Chinese culture. 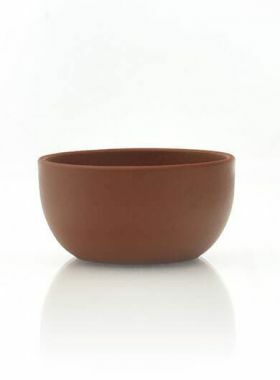 However, a well nurtured Yixing teapot will become smoother and glossier as time goes by. 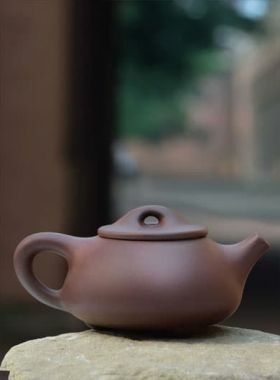 The yixing teapot presents distinctive double pore surface covered with tiny corrugations on it, which makes the teapot able to breathe and reserves fragrance of tea. Therefore we recommend brewing one type of tea with one teapot.